Paula picked up this new Nestor Miranda Collection sample pack from the Habana Vieja Lounge in San Jose, CA during her trip to Cisco last week. 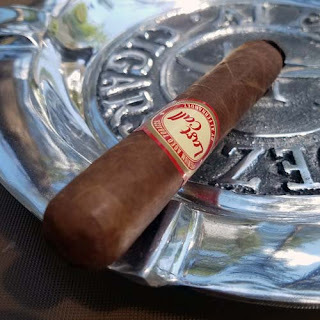 Today we look at the Blue, Connecticut, robusto. Although the flavor mix wasn't super complex, the Blue was a great tasting cigar, plus it had a razor sharp burn line and a fifty minute smoking time. I can see myself smoking these as a morning breakfast cigar with coffee.